National Hamburger Day is May 28. The average American eats three hamburgers per week, according to mindbodygreen.com. Do the math and you’ll find it adds up to about 50 billion burgers a year eaten in the United States. While the origin and history of the hamburger may be varied and widely disputed, there is no argument that the addition of cheese to the hamburger was pure genius. Hamburgers have been around a long time and are truly an all-American favorite, but it seems that for as long as we’ve been enjoying hamburgers, we have been adding cheese to them. I did some unofficial “research” via Facebook on hamburgers versus cheeseburgers. The findings were not a big surprise: cheeseburgers came out as the clear winner. Out of 121 respondents, 83 said, “Add that cheese, please.” Not only is cheese the perfect complement to juicy ground beef burgers, but it also adds calcium and protein along with a lot of flavor. One thing that surfaced from this unofficial research was the tendency of people watching their weight or counting calories to hold the cheese. Ladies and gentleman, please! There are other ways to make a healthier burger. For example, how about holding the mayo, which adds mostly fat and leaves much to be desired along the lines of flavor? This finding really surprised me since the trends with burgers seem to be adding everything imaginable, such as bacon, fried eggs, chili, fried onion rings, and many other less-than-healthy picks. If you’re counting calories, consider dumping the fries and adding a side salad. Another option for cutting calories is going lean with the beef. Traditionally burgers are made with ground chuck, which is 80 percent lean beef and 20 percent fat. Switch out your chuck for ground round, which is 90 percent lean beef and 10 percent fat – a great deal of calorie savings to be had here, folks! When enjoying those yummy burgers, don’t forget that cheese isn’t the only way to pack the health benefits of dairy into this all-American favorite. How about adding a mouth-watering avocado-yogurt spread? For this recipe, we use Greek yogurt, which has about eight more grams of protein than regular yogurt. 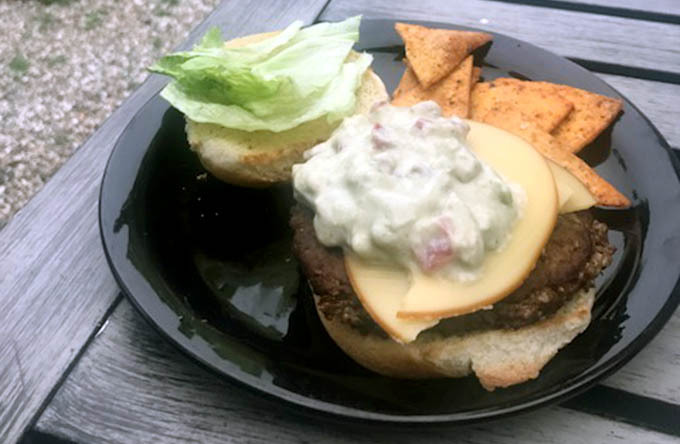 I believe you will find that holding the mayo and adding this yogurt-based topping will result in lots more flavor and nutrients for that hamburger! You can consider it your healthy splurge. Combine diced avocado and Greek yogurt, mix well, and mash a little of the avocado in the stirred mixture. Add in ranch seasoning, tomato, and other seasonings and mix well. Chill for at least 30 minutes. Top your burger with this versatile spread and enjoy National Hamburger Day! Quincy Cheek is the LSU AgCenter Family & Consumer Sciences Regional Coordinator for the Central Region and the Area Nutrition Agent for Rapides and Grant Parishes. 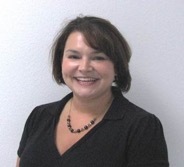 She joined the LSU AgCenter in 2005 and has taught nutrition, food safety and healthy living to adult and youth audiences. Quincy conducts a monthly food demonstration on the KALB News Channel 5 Jambalaya Morning show and features Louisiana commodities, low-fat dairy and healthy cooking tips and tricks.